AEC 2018 is where buyers, decision makers and investors will come searching for opportunities. Business leaders and investors, together with the top people from academia, research organizations and government agencies will be coming to AEC 2018. Could your product or service be "the next big thing"? Then this is your best opportunity to put it in front of the top people from across the energy industry. Thought leaders from academia, research organizations and government agencies will join with leaders from business and the financial industry at AEC 2018. AEC 2018 will put special emphasis on several key areas: Smart Grid, Solar, Offshore Wind, and Battery and Energy Storage. This is a “must” event for any organization or individual with an interest in these evolving technologies, but it doesn’t end there – a range of other areas will be spotlighted as well, including BioEnergy, Building Efficiency and Alternative Fuel Vehicles. 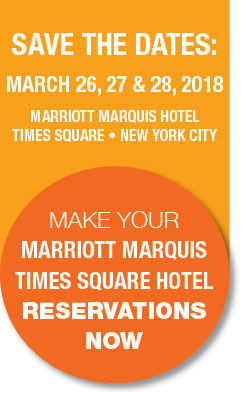 Networking at the highest levels: This is a unique opportunity to access the top people in the energy industry and establish your company’s reputation among the industry’s thought leaders, innovators, corporate leaders, investors, and policy makers. Enhancing your visibility: Introducing a new product? Looking to penetrate a new segment of the market? AEC 2018 offers an unprecedented degree of exposure to the leaders who influence and make decisions. Broadening your industry penetration: The Advanced Energy Conference looks to stimulate synergy and the exchange of ideas by attracting participation from all sectors of renewable/sustainable energy and the energy management technologies. Gain recognition beyond the parochial bounds of your particular market or technology, explore opportunities for technological “cross-pollination”, and uncover potential joint venture partnerships. In the past, this conference has attracted energy industry leaders from 38 foreign countries and as many as 34 U.S. states. Given the prominence of energy initiatives around the world, international participation in AEC 2018 is anticipated to exceed prior events. Participation by high-level speakers and presenters will focus the attention of the trade and mainstream media on AEC 2018, assuring national and worldwide visibility for its sponsors and exhibitors. Presence as an AEC 2018 sponsor or exhibitor solidifies your company’s position as an energy industry leader.